With its lyrical, musical, and kind of epical pace, the story is written by Anthony McCarten (and the screenplay) and Peter Morgan. The alignment between its tidy and point-to-point collectiveness and keeping the poetic innocence at the same time is the splashy achievement. The technical excellence of the cinematography by Newton Thomas Sigel (please recall again Usual Suspects) is backing this melodious and rhythmical component absolutely. Why should you see Bohemian Rhapsody? Because of the great music of Queen! Additionally, because of the IMAX that fills our ears to capture each and every tiny bit of the pitch. In order to understand what a real gift is like! In order to understand not everyone is talented, but can support those with the talent. For the sake of Mary Austin’s (Lucy Boynton) impressive quotes to remind Mercury of the loving and caring people around him. How a straight talk press release can be managed. It is not easy to understand some low quality or jealousy small voices trying to blacken the spot with such sayings that some facts might have been neglected or there was not much focus on “human” Mercury. Then, I wonder truly what is the understanding of the “human” according to some of the one-dimensional booklet critics.. Beyond anything, shooting a legendary band to recall their magnificent work and gift is the fact that matters… Their delightful music and that gorgeous voice matter more than any shallow rumor. If we were to classify the Queen’s music in old times, Romantic period would fit possibly the best. Consciously or unconsciously, the movie is very much aligned with that Romantic volume and tone (lyrical freedom; rich, colorful design, feelings; dynamic contrasts e.g.). Starts with Live Aid, ends with Live Aid... Tale of Freddie and tale of Queen just as they are in our minds.. To those who live forever, and when love must not die!.. Not to mention much on Rami Malek’s (Freddie Mercury) acting as it is not easy to say that he met the expectation for the physical resemblance at first. He is a talented young actor, but maybe this character is too strong for him. However, the direction and production cover it all perfectly. 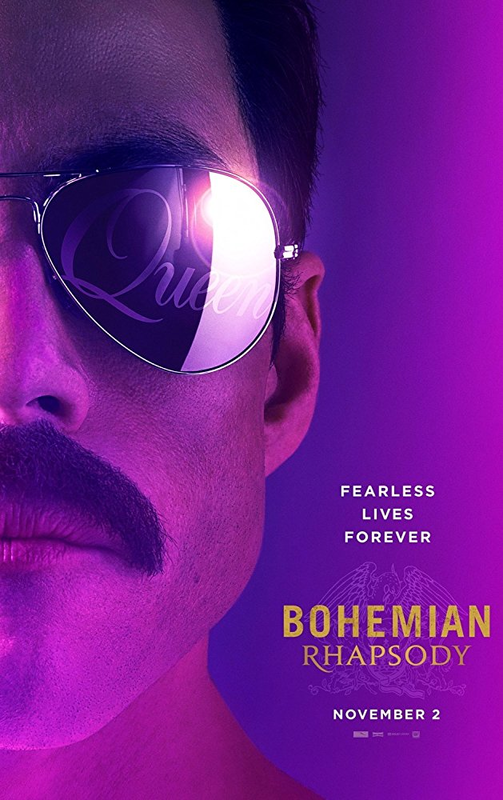 Gwilym Lee (Brian May), Ben Hardy (Roger Taylor), Joseph Mazzello (John Deacon), Aaron McCusker (Jim Hutton), John Reid (Aidan Gillen) are outstanding among the cast. I cannot imagine any humanbeings who could not sing along with incredible Queen songs some of which are Bohemian Rhapsody, Love of My Life, Don’t Stop Me Now, Somebody to Love, Who Wants to Live Forever etc.. They are the champions of all times over and over and over again!.. 20th Century Fox & Regency’s Bohemian Rhapsody continues rocking with an overperformance of $50 million (US, Canada) as well. The reported total worldwide gross is around $92 million for now. What you need to do this week is simply to drive to the nearest theatre to witness one of the best movies of 2018; and probably one of the best documentary dramas of the cinema. Also to salute Freddie Mercury once again who was only 45 years old when he died in 24 November 1991. I heard ‘You can’t touch’ this in a party in the 80’s. Besides Rami does not have the correct face features for Freddy, especially when compared to other members of the band in the movie.